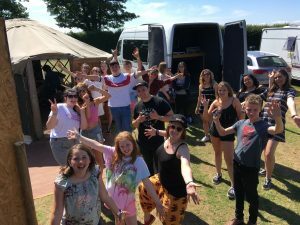 On June 2nd just under 80 children and young people (ages 9 to 19) descended on Cobnor Activities Centre to take part in one of the hottest Cobstock Festivals in recent years. Between them they performed an amazing 2.5 hour set of originals and covers to a great crowd! Very well done to everyone who took part and huge thanks to all the Cobstock crew! Bring on 2019!